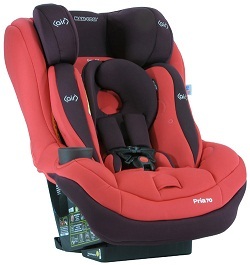 This is the summary of consumer reviews for Graco My Ride 65 LX Convertible Car Seat. The BoolPool rating for this product is Excellent, with 4.50 stars, and the price range is $115-$139.99. 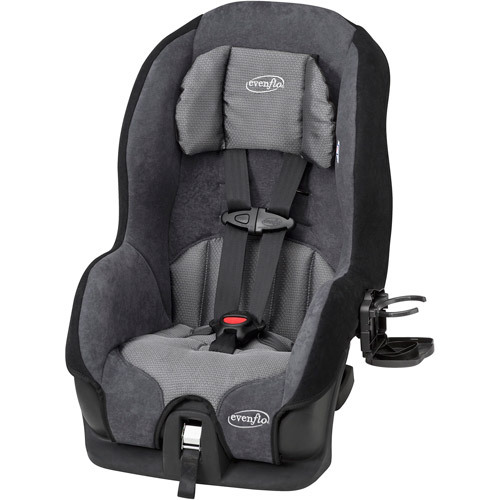 The Graco My Ride 65 LX Convertible Car Seat is top of the line in safety, comfort and style. This latch-equipped car seat offers rear-facing seating for children from 5 to 40 pounds. It also comes equipped with a built in easy-to-read level indicator for hassle free rear-facing installation. You can secure your forward-facing child in a 5-point harness from 20 to 65 pounds.The My Ride 65 provides great fit and comfort for your growing child by including a removable body support. 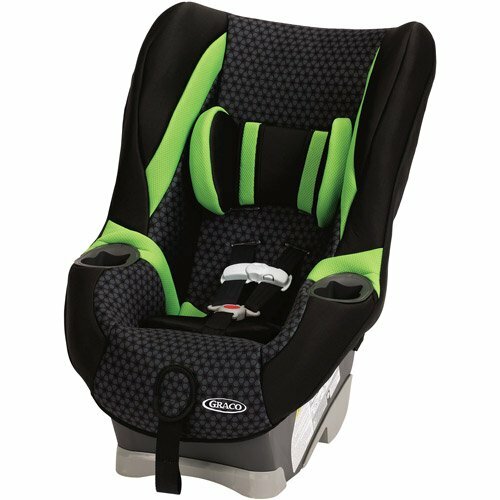 The infant insert removes easily, when your child no longer needs it and it also has a removable toddler headrest to ensure your child's comfort. 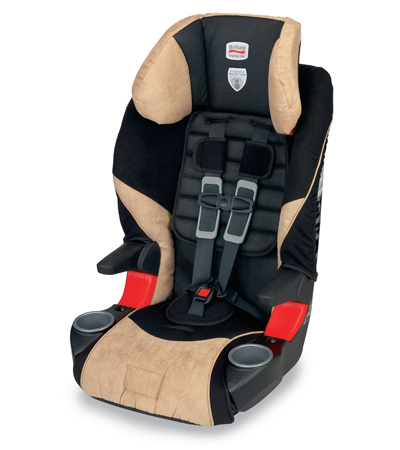 The five-point harness with upfront adjustment makes securing your child in seat and removing them quick and simple. My Ride 65 features a machine-washable cover and seat cushion. Metal and plastic parts can be washed with mild soap and water, while the buckle and harness strap clean up quickly with a damp cloth. For further convenience, two integrated cup holders offer your child easy access to drinks or snacks. 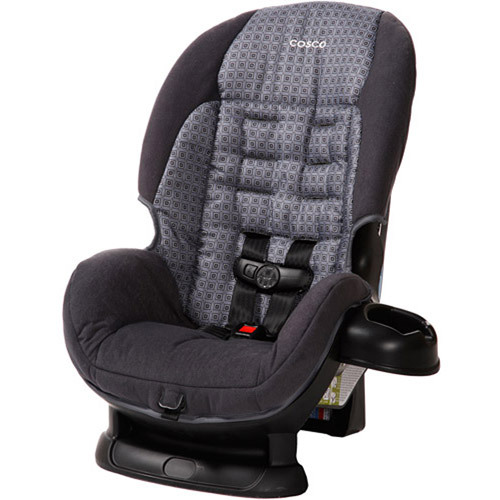 Graco 65 convertible car seat is rigorously crash tested to meet or exceed US safety standards to help reassure parents. In addition to meeting or exceeding all the standards, this carseat has been side-impact tested for occupant retention by the harness system. It also features EPS energy-absorbing foam for effective impact energy management. Reviewers like that their young ones have more leg room and are quite comfortable since it has a soft padding and even when you remove the padding, when the baby outgrows the rear facing mode it is still quite soft. Some users have commented on the harness height adjustments in the rear facing mode are a little inconvenient and difficult to tighten due to the positioning. 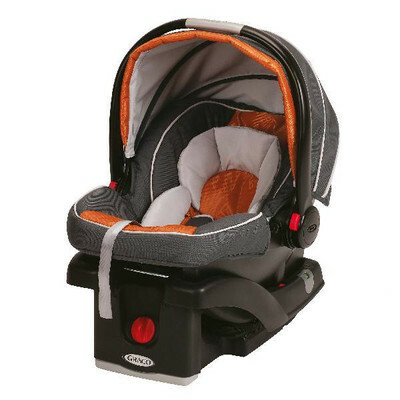 All in all, Graco convertible 65 is terrific for your toddler and works great on long road trips. 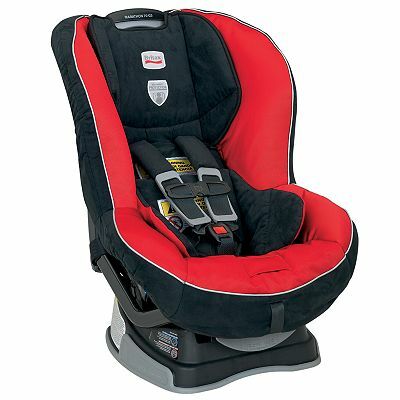 It is a durable carseat with a nice design and feels very secure when installed properly. The two cup holders for cups and snacks are a very handy feature. This is a convertible car seat that will minimize the number of other seats and boosters you'll need to buy as this practical car seat will adjust per your child's growth. Easy to install and seems comfortable for my baby. It's easy to install, easy to use and, she fits comfortably in it!. Very easy to install and uninstall. This seat is easy to install rear facing and is very comfortable for your infant to convert into. The seat is easy to use and install. It was pretty easy to install (the LATCH system is good). Super easy to install...just don't let the instruction book scare you. For example: I'm installing it rear-facing using the LATCH, so it was unnecessary to read the other installation instructions (belt installation & front-facing). 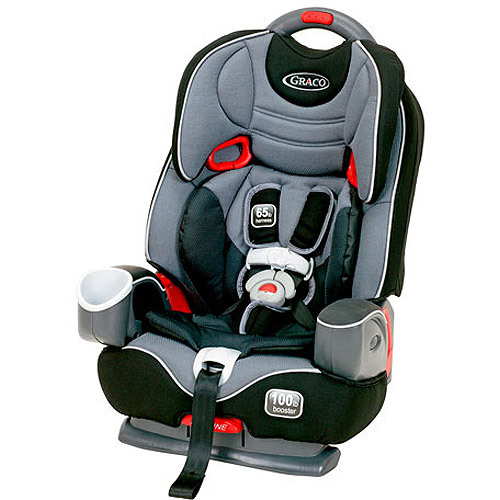 Overall a very nice carseat, great design, easy to install, light-weight for the size. It's easy to install, and comfortable for the baby. The baby is 10 months old and 20 pounds. My baby looks so little in it and mind you, I've a big baby, he weighs 22 lbs and hes pretty long. Strapping my 8 month baby into this seat was a chore. The day I installed it in my car my baby boy laughed and smiled for about 10 minutes the first time he used it!. She installed the car seat forward facing. I purchased this car seat for my 4 month old grandson so mommy won't have to take her's out every week when I watched him.did the research first on safety #1, easy to install and use #2 and comfort. My daughter bought the Graco My Ride 65LX (Asbury) for my granddaughter last month. I absolutely love this chair and the baby loves it too, hes kind of sunk into the chair when rear facing mode, and just a little when facing forward, but he can still look out the window. My son is bigger than the average 6 month old, after out growing his infant seat I purchased the safety first all in one seat, he hated it! The straps are still a little difficult to pull snug against our daughter's (8.5 months) chest but isn't impossible. I've my 30-pound daughter forward facing (since she's so long and her feet get cramped rear-facing). The bottom straps do seem a little hard to click into place, but this isn't anything I'm concerned with. we bought this when my daughter was maybe almost 2 months old, maybe a little younger. My daughter is 5 months old and approx 17lbs and 25.5 inches long. The one time she cried herself so hard, she went to sleep, her head fell forward at such an uncomfortable position. The straps were rubbing my daughter's neck the first couple of times we went somewhere, so I got a pair of neck wings to attach to the straps and they've really helped. 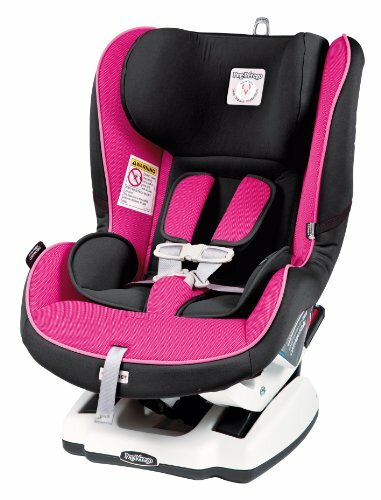 Easy to install, adjust straps and is very comfy for kids!. I purchased this seat for my 13 month old daughter. It's big enough for our child to fit in and the straps fit well. It was a tight fit in the back of my Saab rear facing but it fits!. It fits just fine rear facing but when I tried it forward facing it didn't fit at all. Even at 3 months, he fit in the seat really well because it's so many height adjustments for the shoulder straps. She fits perfectly in it! We've a minivan and it fits comfortably rear facing. When it came and I installed it in my car (a Honda Fit), it fit no differently than the SnugRide. He fits in it great. This carseat leaves enough space to fit two side by side. Can be used face and rear facing. Installed in a 94 Honda Accord rear bench seat both rear facing and forward facing using a locking clip w/ no problem. Product can be rear or forward facing. Installed in a 95 Honda Odyssey (captain chair) both rear facing and forward facing w/ no problems. The three challenges rear facing are 1. Purchased this seat to extend rear face my oldest daughter as long as possible. Wouldn't fit behind the driver or passanger seat facing rear. It installs very easily and has a natural recline to give your child comfort while rear facing.Because of the natural recline, there's no need to use pool noodles or a towel to get the proper rear face angle. Good product, a bit difficult to get your child in when facing the rear, but overall we love it!. If we'd a small car, I don't think that this seat would fit rear facing, the front facing seems to be a little less bulky, not laid back as much, but it fits securely in the center of my back seat.